"Court of Criminal Appeals Candidates Emphasize Experience" was first published by The Texas Tribune, a nonprofit, nonpartisan media organization that informs Texans — and engages with them — about public policy, politics, government and statewide issues. Court of Criminal Appeals Candidates Emphasize Experience By Jordan Rudner February 5, 2016 Editor's note: Corrections appended. Although the Court of Criminal Appeals is the highest criminal court in the state — and it deals with hot-button issues including the death penalty — its nine judges don’t attract much attention. That can make campaigning for a seat on the court difficult. Several candidates running for the court's open seats said they doubt most Texans know the court even exists. But the three Court of Criminal Appeals races on the March 1 Republican primary ballot — for places 2, 5 and 6 — are worth paying attention to (the Democrats running don't have primary opponents). 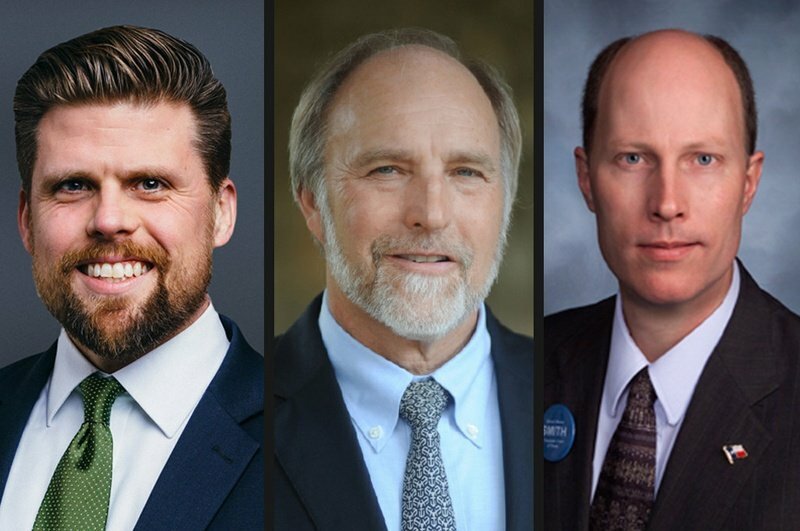 In one race, three Republicans are locked in a heated battle to take back the seat from an incumbent who defected to the Democratic party. In another, one candidate is calling for a complete overhaul of the court system. Across all three races, there are accusations of insufficient commitment to conservative values. Voters across the state are eligible to vote in the Court of Criminal Appeals elections. Here’s the breakdown: Place 2 The current Place 2 judge, Democrat Larry Meyers, is the longest-serving member of the court; he’s held the seat since 1992 and he’s looking to stick around. But his isn’t a typical incumbent story — he’s switched parties since the last election, making him the only Democrat in statewide office in Texas, and he knows his chances of getting re-elected are slim. This fall, Meyers will face the winner of three Republicans seeking to claim his seat — Judge Mary Lou Keel of Harris County, and Judges Chris Oldner and Ray Wheless, both from Collin County. Keel and Oldner are seeking to define the race by their criminal law qualifications, and both said they’d much prefer the other to Wheless. Keel, a former trial and appellate prosecutor, has presided over five death penalty cases as a felony trial judge. Given the role of the Court of Criminal Appeals as the top appellate court for Texas death penalty cases, Keel said she is ready for the job. “I’ve got more experience than both of my opponents put together,” Keel said. Oldner, a district court judge in Collin County, says his own experiences with the death penalty — when he was a felony prosecutor— has given him a unique perspective.&nbsp; “I think it’s important that the court has people who have been in the courtroom, looked people in the eye and asked for the death penalty,” Oldner said. “I’ve asked for convictions in the toughest cases.” Wheless, also a district court judge in Collin County, has emphasized his commitment to conservative values in his campaign materials and focused on the credentials that set him apart, including his double certification in civil trial law and personal injury law. Wheless has also highlighted his history with narcotics cases — he helped establish Collin County’s first felony drug court program. There is one point on which Keel and Oldner agree: Wheless should not be on the state’s highest criminal court. Both say Wheless doesn’t have sufficient experience in criminal appeals, pointing out that he is the only candidate who has not been board certified in criminal law. “There are two people in this race who are highly qualified and who would do a great job on the bench,” Oldner said. “There is a third person who has excelled at politics, and that’s it.” “I don’t understand why Judge Wheless wants to be on a court he’s so unqualified for,” Keel said. Wheless worked in private practice and served as Plano’s municipal prosecutor before being appointed to the Collin County district court. He says he’s perfectly qualified and that ultimately the voters will decide, but he declined to comment on the specific nature of his opponents’ complaints. “I like criminal law, I like hearing criminal cases,” Wheless said. “Criminal law is interesting to me.” Wheless, who’s garnered endorsements from a number of prominent Tea Party organizations — including Texas Right to Life, Texas Home School Coalition and the Texas Eagle Forum — says his opponents' criticism does not bother him.&nbsp; “They are entitled to run their campaigns the way they want, and I am running mine,” Wheless said. 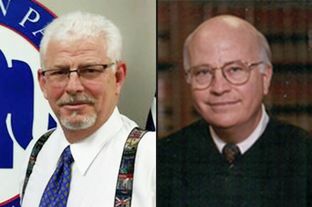 Place 5 Enlarge Brent Webster, left, Sid Harle, center, and Steve Smith, right, are three of the four candidates running in the Republican primary for Court of Criminal Appeals Place 5. The four Republicans vying for the Place 5 seat on the court also vary significantly in background and motivation. One says he is running to take back the court for conservatives, and another hopes to use the position to advocate for a total overhaul of the state’s court system; another does not have a campaign website. Sid Harle has the most judicial experience — he’s served as a state district judge for 27 years and presided over several death penalty cases, and he served for two years on the Court of Criminal Appeals' rules committee. He also recommended the state convene the court of inquiry that led to Michael Morton’s high-profile exoneration. Morton was wrongfully convicted of the murder of his wife and served almost 25 years in prison before DNA evidence connected another man to the crime.&nbsp; Harle said his background in forensics, including two years of service on the National Forensic Science Commission, make him especially qualified for the court. “Arson, ballistics, DNA evidence — we’re going to be seeing a lot of those cases,” Harle said. “The Morton case dealt with one of those worst examples of bad science and bad gatekeeping by a judge — as a judge, a big part of the workload is looking at the underlying forensic science.” Harle’s most vocal opponent is Steve Smith, a former Texas Supreme Court justice. Smith advocates merging the state's two highest courts, the Court of Criminal Appeals and the Supreme Court, and has focused on his opposition to what he calls “judicial lawmaking." Smith said he entered the race largely because he thinks Harle is too moderate. “I got in at the last minute, right before the filing deadline, when it was clear Harle would not have competition,” Smith said. “The balance between moderate Republicans and conservative Republicans has shifted, and it’s important that a proven conservative take this spot.” Smith cites Texas v. Villlarreal, a case in which the Court of Criminal Appeals ruled 5-4 that blood drawn from drivers without their consent and without a warrant is not admissible evidence in a DWI case, as an example of a case that he says could’ve easily been decided the other way with a fifth conservative voice. “Those important cases are being decided 5-4, and I think it’s important to educate the voters that, contrary to public perception, the CCA is not far-right at the moment,” Smith said. “That's cause for concern.” Harle has said it is not appropriate for judges to address how they would rule in specific cases in advance of hearing them in court. “You can talk about your judicial philosophy, but you can’t really broadcast what you’re going to do to that degree, or you’d be subject to recusal,” Harle said. A third Republican, Brent Webster, a Williamson County assistant district attorney, has never served in public office. His campaign materials focus on major conservative themes — his commitment to defending second-amendment rights, his anti-abortion rights stance, and a belief in fiscal responsibility. “As a Judge on the Texas Court of Criminal Appeals, not only will Brent bring these values to the bench, he will be guided by them,” his website says. Webster could not be reached for comment. The fourth Republican candidate, Scott Walker, a criminal defense attorney from Fort Worth, does not have a campaign website and did not return multiple requests for comment. The winner of the Republican primary will face Democrat Betsy Johnson, a criminal defense attorney from San Antonio, in the fall. Place 6 Enlarge Richard Davis, left, is challenging incumbent Michael E. Keasler in the Republican primary for Court of Criminal Appeals Place 6. Compared to the other Court of Criminal Appeals races, the Place 6 race has been quiet.&nbsp; Judge Michael Keasler, a Republican who has served on the court for 17 years, is running to keep his seat. Keasler, 73, would hit the CCA’s mandatory retirement age of 75 in two years, triggering a law that caps the normally six-year term at four years. Keasler did not respond to requests for comment. Richard Davis, an attorney from Marble Falls, is Keasler’s only Republican opponent — and Davis said he hopes voters keep Keasler’s inability to serve a full term in mind when they head to the polls. Davis added that although he’s never served as a judge, his work as a prosecutor in Sherman and Ector counties qualify him for the role. “My extensive trial experience gives me a more balanced view than my opponent, whose legal career prior to holding office was to prosecute in one county of this state,” he said. This fall, the winner will face Democrat Robert Burns, a district judge from Dallas County. Correction: An earlier version of this story incorrectly stated that Judge Michael Keasler does not have a campaign website. It is www.judgekeasler.com. Correction: An earlier version of this story incorrectly identified Brent Webster. He is a Williamson County assistant district attorney. "Court of Criminal Appeals Candidates Emphasize Experience" was first published at by The Texas Tribune, a nonprofit, nonpartisan media organization that informs Texans — and engages with them — about public policy, politics, government and statewide issues. Link back to the original article, which is located at https://www.texastribune.org/2016/02/05/cca-candidates-emphasize-experience-and-bench/.